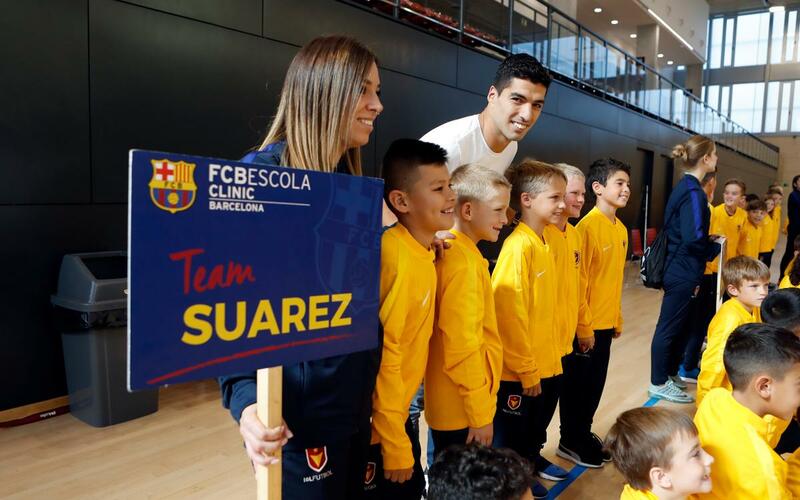 FC Barcelona striker Luis Suárez was the star of weekend for the more than 200 players that are attending an FCBClinic -- an official training camp -- on the FCBEscola facilities in Barcelona. These young Americans got to meet the Uruguayan superstar in the handball pavilion on Sunday after the first team training session at the Ciutat Esportiva Joan Gamper. The athletes are in Barcelona to combine training sessions with other sport and leisure activities until next Monday 30 October, and come from ten different US states: North Carolina, Ohio, Missouri, Virginia, Tennessee, Louisiana, Oklahoma, California, Delaware and Colorado.